Rev. Francis J. Powers, CSV, died Friday, July 28, 1995 at Holy Family Medical Center in Des Plaines, Illinois. He was 82 years old. Fr. Powers pronounced his First Vows as a Viatorian on Aug. 15, 1940 and then began his theological studies at St. Thomas Seminary in Denver. 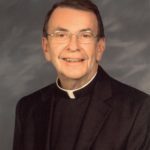 He was ordained to the priesthood by Bishop Thomas O’Leary in Springfield, Massachusetts on June 3, 1944. Subsequently, Frank earned his M.A. and his law degree from the University of Michigan as well as his S.J.D. from Catholic University of America. Frank then began a life long career of college teaching in the area of political science and law. His initial years were spent at Gannon College in Pennsylvania and at Catholic University of America. 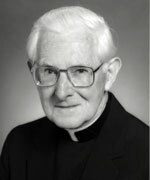 In 1954, Frank became Assistant Provincial and Director of Studies for the Province and from 1955-1960 he was Director of the Seminary in Evanston. In 1960 he began a 23 year teaching career at Loyola University in Chicago. After his retirement from full time teaching, he coordinated and directed the pre-law counseling and informational services in Loyola’s College of Arts and Sciences. Frank’s wisdom and keen insight into community matters and his willingness to be of service to the local and international community was a gift to our Province for many years. Visitation for Father Powers was held at the St. Viator High School Chapel on Tuesday, Aug. 1, 1995 from 4-8 PM, concluding with a Prayer Service at 8 PM. 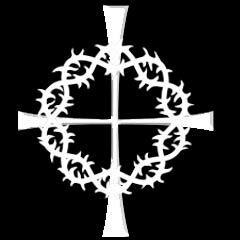 The Mass of Christian Burial was held at the St. Viator High School Chapel on Wednesday, Aug. 2, 1995 at 10:30 AM. Burial was in the Community Plot at Queen of Heaven Cemetery in Hillside, Illinois. Fr. Powers was preceded in death by his sister, Irene Smith, and by his brother, Robert. He is survived by another brother, Russell and by a number of nieces and nephews. Please remember Fr. Powers in your prayers and gather together in local communities to remember him in Eucharist.